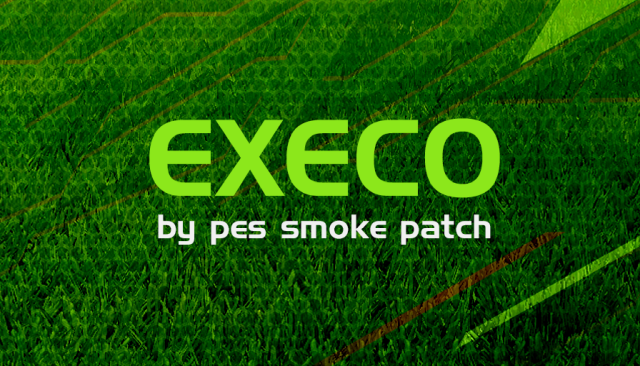 Patch PES 2018 Terbaru EXECO V10.3.0 AIO dari Smoke Patch – Berikut fitur patch PES 2018 terbaru dari EXECO V10.3.0 AIO. all leagues in smoke patch are updated with correct teams for the new season 18/19, serie b of Italy still have 22 teams although they should less this season due to Italian law sanctions, we prefer to not change the league structure to avoid serious bugs. this is the first themed patch since pes 2013, all backgrounds made for this them are made by us (one of our sister websites), it is possible to remove the theme and restore the game original by running the reset tool. 3 new stadium added to the patch, this stadiums are not made by us, we couldn’t convert our stadiums from older version due to the change of the game system, so the credit for the 3 new stadium models goes to Durandil, big thanks for his work. we have converted many of our old sound effects and stadium cheers, many other new sound files are included thanks to the fans for participation in creating and packing the sound files. it is possible to remove the new sound effects by running the patch reset tool. our ad-boards are now added to pes 2018, converted from pes 2017 9.8, the number is reduced but all teams and leagues have real ad-boards now. all teams in the game have licence, correct name, manager, stadium name, commentary call, logo, kits and all attributes are done, it is not possible to edit the names or manually replace teams, however we kept two teams fully modifiable (pes united – we united), it is possible to export and import created teams before updating the patch by using the in-game editor, watch tutorial. smoke patch always add more teams and national teams to the game, execo version added one more classic team, we wanted to add more teams but sadly we hit the maximum number the edit file can handle (max= 599 team slots), about 100 team slots less than pes 2017.
all teams have real kits most of them with 3rd and 4th alternatives, we have created most kits in the patch and our fans also created the textures for better quality. in execo we have updated almost 100 teams for the new season 18/19, although we have used kits from kit maker (geo_craig90) so the patch wouldn’t take more time to be ready. kits texture: a lot of new texture for kits 18/19 are credited to geo_craig90, thanks for the high quality work. kits settings: we always review the settings (numbers color, position, …), we correct and optimize the kits regularly. all the kits are made to be optimized while preserving the quality for excellent performance and quality when playing at 4k quality or less. in this version, we have activated our high quality sleeve badges, the badges where deactivated in previous versions due to technical issues, now is resolved and working. a lot of real faces are updated in this patch, the patch includes more than 800 new or updated faces some imported from pes 2019.
this version also gave more attention to minifaces and added/updated more than 12500 minifaces for better gaming. the number of players always grow when we create or update the team squads, currently the patch have around 18000 players, all players are real without any fake players except for ML youth team and ML default team. the patch added around 9000 players not in the original game. when we add a player we create with his correct ID if possible, and the stats are from our most updated database. this patch have stats from the latest konami database made for pes 2018, soon the database will be updated after the full release of pes 2019, after that we will update the stats in all our live patch versions. we always enhance the patch in many aspects, not all the features are listed but you will find a lot of changes when playing with smoke patch.